California Gov. Gavin Newsom announced Wednesday that he is taking executive action to halt the use of the death penalty in California. Newsom signed the order Wednesday, granting a reprieve for the state's more than 730 condemned inmates for as long as he is governor. The order doesn't change existing convictions or sentences and no one will be released as a result of the action. At a Wednesday news conference, the first-term governor said his views on capital punishment were shaped 40 years ago by his grandfather and father, who advocated on behalf of wrongly convicted prisoners. "It's a very emotional place that I stand," Newsom said Wednesday. "This is about who I am as a human being, this is about what I can or cannot do; to me this was the right thing to do. "I was a young man learning that life story. I've gotten a sense over a course of many, many years over the disparities in our criminal justice system." In a statement issued earlier, Newsom said a civilized society can't claim to be a world leader as long as its government "continues to sanction the premediated and discriminatory execution of its people." Newsom had been calling elected officials around the state to share some information, but the official announcement was made Wednesday morning in Sacramento. Two sources familiar with the governor's plans confirmed plans Tuesday to NBC4's I-Team. California, which has 737 condemned inmates and the nation's largest death row, has not executed anyone since 2006. Newsom has been openly advocating for a moratorium on the death penalty and told the LA Times this week that he has asked his legal advisers to research his options as governor. "It doesn't necessarily square with the values... and the hearts and minds of tens of millions of Californians," Newsom said at a Wednesday news conference. Newsom's action is temporary, and a repeal of capital punishment would be up to California voters, who have consistently rejected statewide ballot measures to repeal the death penalty. In 2016, voters narrowly passed a ballot measure to speed up executions in California by fast-tracking appeals, but no condemned inmate was facing imminent execution. Current death row inmates include Scott Peterson, convicted in the death of his wife Laci, and Richard Davis, sentenced for kidnapping and strangling 12-year-old Polly Klaas. The last inmate to be executed in California was Clarence Ray Allen, killed Jan. 17, 2006 at age 76. Allen, sentenced to death on three counts of first-degree murder, was on death row for more than two decades before a lethal injection was administered. California now houses one of every four condemned inmates in the country. Early Wednesday morning, President Donald Trump tweeted his disagreement with Newsom. He said "friends and families of the always forgotten VICTIMS are not thrilled, and neither am I!." The governor's office sent emails that included the phrase, "...will announce a death penalty moratorium via executive action." Puts in place an executive moratorium on the death penalty in the form of a reprieve for all individuals sentenced to death in California. Withdrawals California's lethal injection protocol. Immediately closes the execution chamber at San Quentin. States clearly the directive does not provide for the release of any individual from prison or otherwise alter any current conviction or sentence. Newsom's action is likely to face a court challenge, but aides said he is not changing any convictions or allowing for early release. A governor needs approval from the state Supreme Court to pardon or commute the sentence of anyone twice convicted of a felony. Last year, justices lblocked several clemency requests by former Gov. Jerry Brown that did not involve condemned inmates. The California Innocence Project, which works to exonerate people on death row in the state, lauded the upcoming announcement. "It has been my dream for many years that we would end the human rights violation known as the death penalty in California," Justin Brooks, Director of the California Innocence Project and a Professor at California Western School of Law, said in a statement. "It is certain that as long as there is the death penalty there is the risk of executing innocent people. I am proud of our new Governor for taking this bold step." 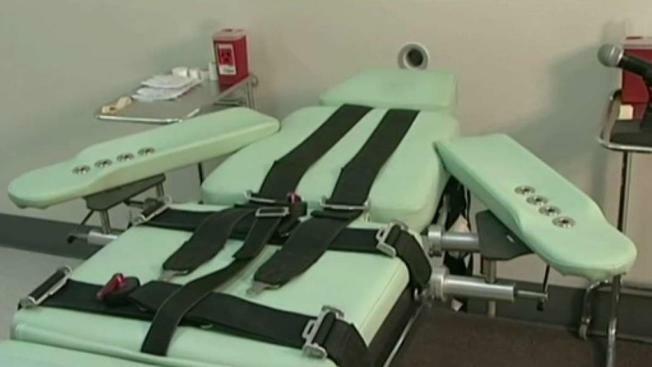 "The voters of the State of California support the death penalty," Michele Hanisee, President of the Association of Deputy District Attorneys said in a statement. "That is powerfully demonstrated by their approval of Proposition 66 in 2016 to ensure the death penalty is implemented, and their rejection of measures to end the death penalty in 2016 and 2006. Governor Newsom, who supported the failed initiative to end the death penalty in 2006, is usurping the express will of California voters and substituting his personal preferences via this hasty and ill-considered moratorium on the death penalty." "Equality California applauds Governor Newsom for the principled leadership he has demonstrated through this decision," Rick Zbur, executive director of the organization, said in a statement. "Fairness and equality are fundamental California values. But these core values are not reflected in our state's broken death penalty system. We cannot accept a system in which certain communities — especially communities of color and the LGBTQ community — are disproportionately vulnerable simply because of our race, our sexual orientation or gender identity, how much money we have or where we are from." Reality TV star Kim Kardashian West, who has previously worked with Trump on criminal justice reform, tweeted her support for Newsom's moratorium.